Endeavors In Education: March Resources and a freebie! 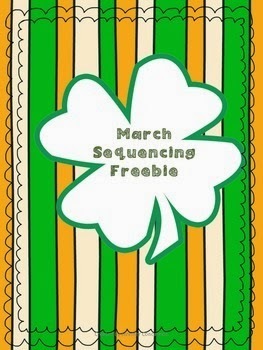 March Resources and a freebie! My students this year work so well at centers! They are focused and on task, which has not been the case some years...womp womp. I love grouping my higher students with my struggling students because they are so good about leading each other to the right answer instead of just telling each other the answer. I created a March Resources pack on TPT which can be purchased here, but I also created this freebie which comes from the pack. It is a sequencing center on how to catch a leprechaun. You can get it here. I hope you enjoy!